No more performing the same task twice! Press Record. Perform the actions. The macro recorder accurately records your mouse movements and clicks. Press Stop. Edit the macro. The built-in macro editor allows you to review your recording and edit the actions. Press Play. Repeat the macro. 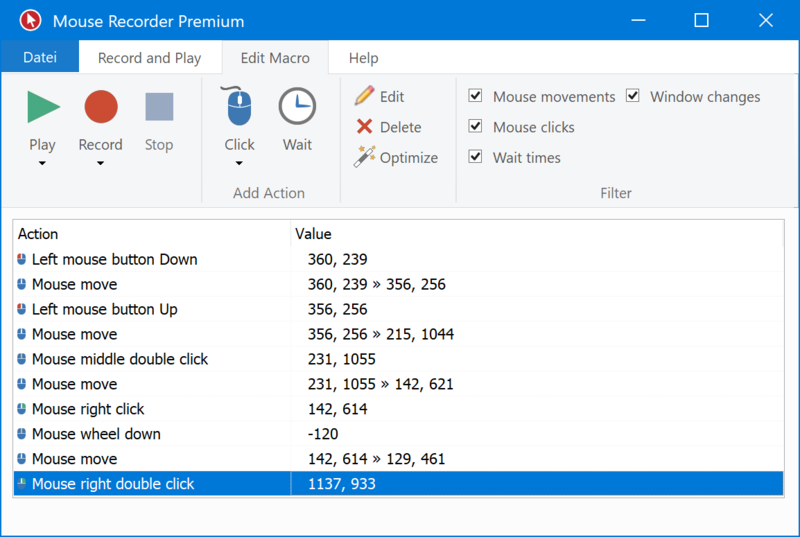 Mouse Recorder repeats your macro recording, saving you from repetitive tasks. You can adjust playback speed and smooth out edgy mouse movements on demand.